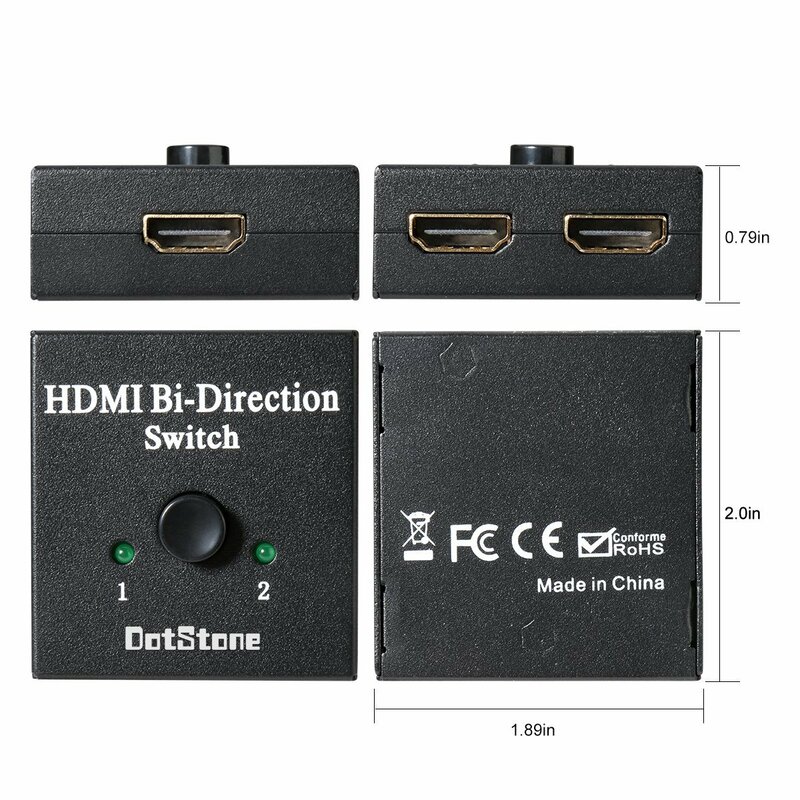 I ordered the DotStone HDMI Switcher 2 Ports Bi-direction Manual Switch so that I could use it to switch back and forth from one device to another. 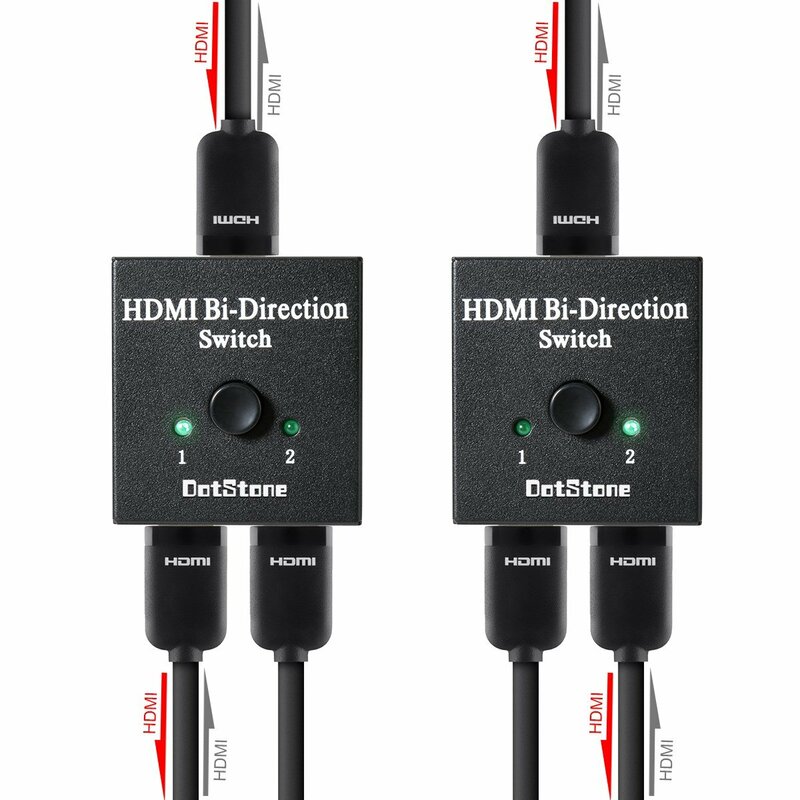 I have used a lot of signal splitters in the past, but really needed an HDMI switch so that I could toggle between devices. 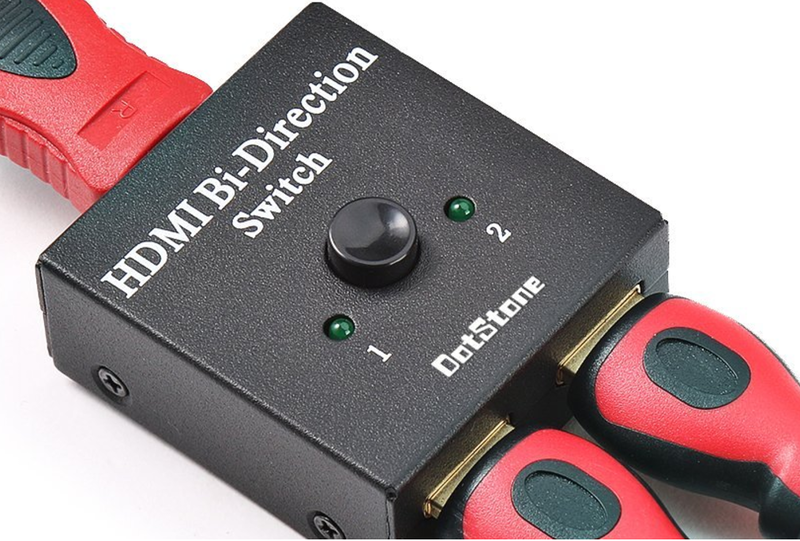 I love that this is a bidirectional switch, so I can connect it whichever way is needed. 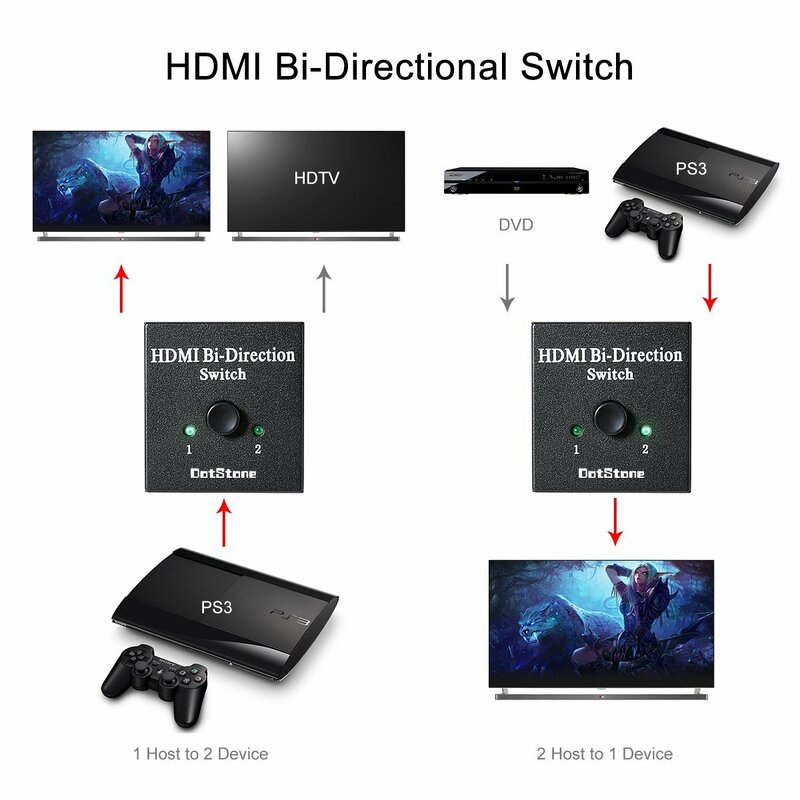 Sometimes I want to switch between two input sources such as a computer and a DVD player going to my TV, and other times I need to use a single output source such as my computer, and switch the output signal between my smaller television and the larger HDTV screen. 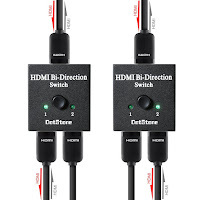 Although I use my HDMI switch mainly in my home, I can see where it would be useful in an office setting or other locations as well. Keep in mind that this is a switch, and not a splitter, so you will only be able to switch between the two inputs/outputs, not use both at the same time. 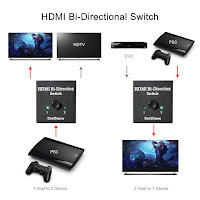 I read a couple of bad reviews because of this but this is how it is supposed to work. This 2 x 1 / 1 x 2 Bidirectional HDMI Hub works well for the intended purpose. 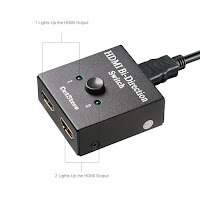 I have been using this a lot and it does the job well. 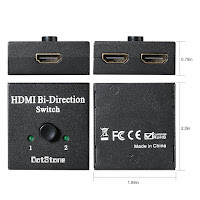 I am happy with this product and would recommend it to others who are looking for a high quality HDMI manual switch.